On the news that the Russian track and field athletes are banned from the Rio Olympics. Good decision. Two points, five lessons and the links between sports and the Russian Mafia. The Russian anti-doping system in sport was largely a sham: a Potemkin village of a program designed to give the appearance of an effective fight but in reality enabling widespread doping among their athletes. At the very heart of athleticism and the IAAF (International Association of Athletics Federations) that was a criminal system that at times extorted cash from doping athletes and coaches. 5) The links between the non-functioning fight against doping and a deeply embedded system of criminality is very clear. Below is an excerpt from ‘The Fix’ about the widespread mob control of Russian sports. Read it and have sympathy for any of the WADA investigators as they try to test athletes within this system. The Russian soccer leagues of the past two decades have had a body count that rivals Al Capone’s Chicago. On the morning of June 15, 1997, Larisa Nechayeva, a financial director of Spartak Moscow, the most popular soccer club in Moscow, was in her dacha on the outskirts of the city with an aide and her driver. She should have been in a good mood as she had recently signed a lucrative business deal for the club, but that morning a gunman armed with a 9mm pistol broke into her dacha. He shot them all. Nechayeva and her aide probably died instantly. However, like in most mob murders, the assailant also fired a final bullet into Nechayeva’s head to make sure. Then he fled. The police took two hours to reach the crime scene and found no clues as to who had committed the murders. His experiences and these murders are not exceptional. In Russia, two sports often share the same club, so that one club will have at least two different teams: one that plays soccer during the summer and the other playing hockey during the winter while sharing the same administration. Both sports have seen numerous murders, pistol-whippings, kidnappings, and bombings. At one point, an elite unit of the ministry of interior anti-terror commandos faced off against fully armed Russian soldiers in a battle over control of the ice hockey team CSKA Moscow. Nor is Russia alone in these problems: in the neighbouring country of Ukraine, the entire VIP box at Shakhtar Donetsk stadium was blown up in a bomb attack that killed the Shakhtar club president, Akhat Bragin, and his five bodyguards. The most prominent club – Dinamo Kyiv – was even alleged to be connected to the mob’s exporting of nuclear missile parts. The UEFA official was not the only prominent Western European soccer person to be threatened by an East European who seemed “more familiar with a shadowy world more dangerous than the boardrooms and hotel suites in which transfer business is usually conducted.” In his autobiography, Sir Alex Ferguson, the manager of Manchester United, reveals that both he and the chairman of the club, Martin Edwards, were threatened by a Russian agent when Ferguson refused to sell their star forward Andrei Kanchelskis. They took the threats very seriously, and sold the player. It is difficult to blame Ferguson and Edwards. Here is a brief but incomplete list of Russian soccer officials or people close to them who have been attacked since Larisa Nechayeva’s unsolved murder. • CSKA Moscow president Yevgeni Giner’s son Vadim and driver: shot in an attempted assassination. • Vladimir Valeyev, head of the Novosibirsk regional soccer federation: murdered. • Viktor Skripal, the executive director of Luch-Energia Vladivostok soccer club: murdered. 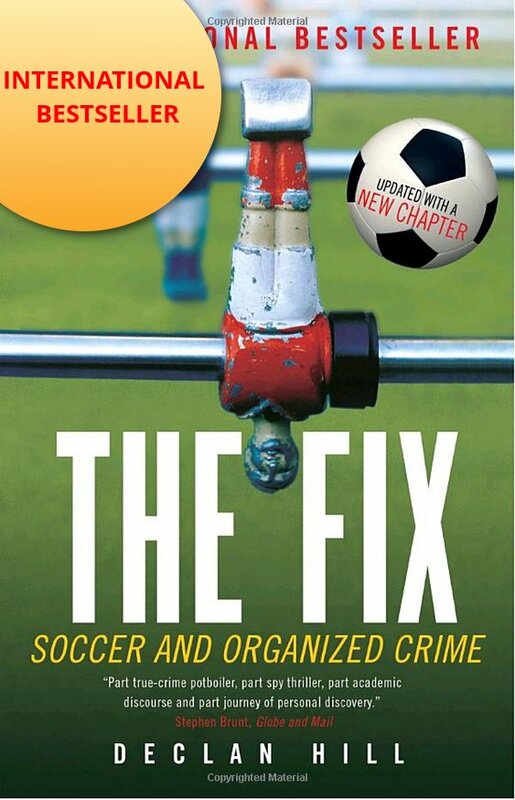 • Yuri Tishkov, soccer agent: murdered. • Vladimir Prokhorov, the 2002 president of the Kristall club in Smolensk:murdered. • CSKA president, Nikolai Nino: committed suicide, without explanation. • Andrei Trubitsin, CSKA official: threatened with torture. • Natalya Dolmatov, wife of the coach of CSKA Moscow: disappeared. • The son of Vladimir Goryunov, the honorary president of Rotor Volgograd club: murdered. • Alexander Shkadov, the 1999 president of the Kristall club in Smolensk:murdered. The fact that the CSKA sports organization features so prominently in the list indicates just how bad the situation has become. CSKA is the Manchester United of Russia. As the former Red Army team, it was the symbol of Soviet strength and sporting prowess. Their hockey team dominated Soviet sport and their soccer team won the league championship ten times and the cup eight times. In the early 2000s, CSKA was the object of a battle between rogue elements of the FSB (the Russian state security agency) and alleged Chechen mobsters. An FSB official threatened a soccer official that he would be “torn apart molecule by molecule” if he did not follow orders. Currently, CSKA is part owned by a controversial businessman, Yevgeny Giner, the man who pays “incentive payments” to other teams so that they will not be tempted to fix games, and two other anonymous shareholders. The question is, why have so many people been killed in Russian sport? Is it some bizarre enthusiasm for the sport? A psychopathic love of the game that produced such a bloodbath? A thuggish form of the ultimate hooliganism? In the early 1990s, the chief reason mobsters entered the world of Russian soccer was that control of sports clubs gave them a significant commercial advantage. The story begins in 1993, when Boris Yeltsin – in a fit of imperial grandeur that would have embarrassed a Czar – made his former tennis coach, Shamil Tarpischev, Russia’s sports minister. The Russian economy was in free fall, and the once-great Soviet sporting machine was crumbling. At some top-level sports clubs, the teams were so poor that the players were sharing unwashed team shirts. A few years later, on my visit to a CSKA Moscow practice, I saw the players swapping equipment as they practised. Tarpischev proposed to Yeltsin that sports clubs be allowed to import alcohol and tobacco duty-free, so the clubs could earn extra money. This was a huge concession. Jim Moody, former head of organized crime for the FBI, claimed that “almost 30 percent maybe even more” of all Russian government money came from taxes on alcohol and tobacco. The idea was that each sports club would simply import as much alcohol or tobacco as they wanted tax-free. This gave them a huge commercial advantage over other legitimate, non-sporting importers of these substances. So it took Russian mobsters all of about 3.2 seconds to figure out they should get into the sport business. As a result, various mafia groups seized control of different clubs and began to compete in the tax-free importation of goods. No single mob group was able to gain control over the sports market, although they certainly tried, as the body count shows. Some Russian journalists I spoke to claimed most of the violence occurred in the bad old days of the post-Soviet breakup in the 1990s, when mobsters ran around the streets killing anyone who threatened the expansion of their power. Sport, runs the argument, is no exception from other industries. In 1993 for example, dozens of the presidents of the private banks in Moscow were assassinated in mob-style killings. Nor are soccer and hockey the exceptions in Russian sports; in 1999 figure skater Maria Butyrskaya’s BMW was blown up by a mysterious car bomb explosion. Chevalier Nusuyev, the president of the Russian Youth Sports Federation, was killed in a mob-style murder, and eighteen-year- old European Junior Boxing Champion Sergei Latushko was ambushed and shot eight times in the head and chest as he was leaving his practice stadium. He died soon afterwards. Those are a few examples, but there are many others, from many other sports. 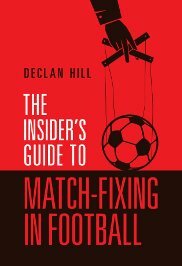 Pingback: Sports and the Russian Mafia - Declan Hill - Institut für Fankultur e.V.